I have been lucky enough to have one of my favourite bracelets featured in Vintage Life magazine! 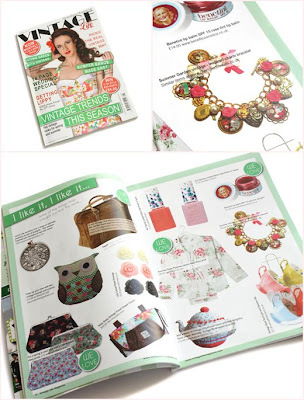 This magazine is great for those of us that love all things Vintage! Features this month include vintage fashion, weddings and how to have the perfect vintage picnic! They have also featured my Summer Garden bracelet on the “I like it I like it” page which is just perfect for the gorgeous summery weather we are having at the minute.I purchased my copy from W H Smiths but their website tells you where copies are currently being stocked at the minute! 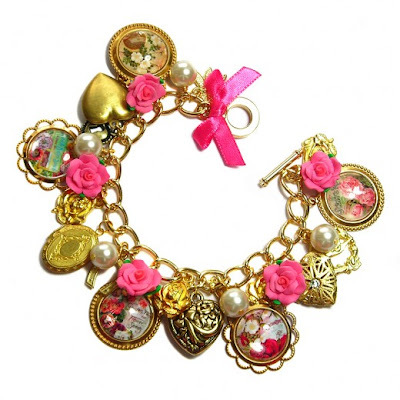 My Summer garden Limited Edition vintage style charm bracelet is packed full of romantic and pretty charms such as pink roses, glass pearls, vintage lockets, gold plated vintage style dragonflies, butterflies and rose charms as well as beautiful charms showing images from vintage seed packets. This delightful piece of handmade vintage style jewellery is just perfect for your vintage tea party and will look gorgeous worn with one of this seasons floaty vintage style skirts or play suits! This vintage style bracelet has now been re-made and is available to Buy for £37 Limited Edition!